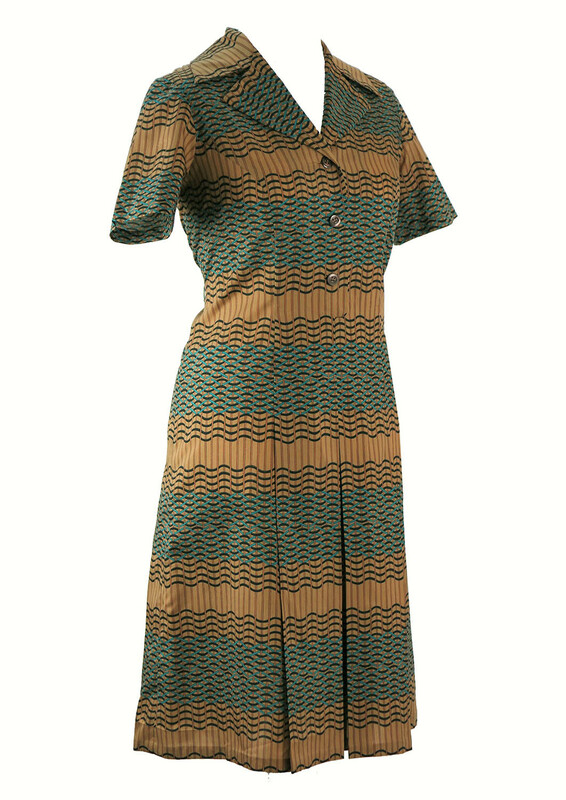 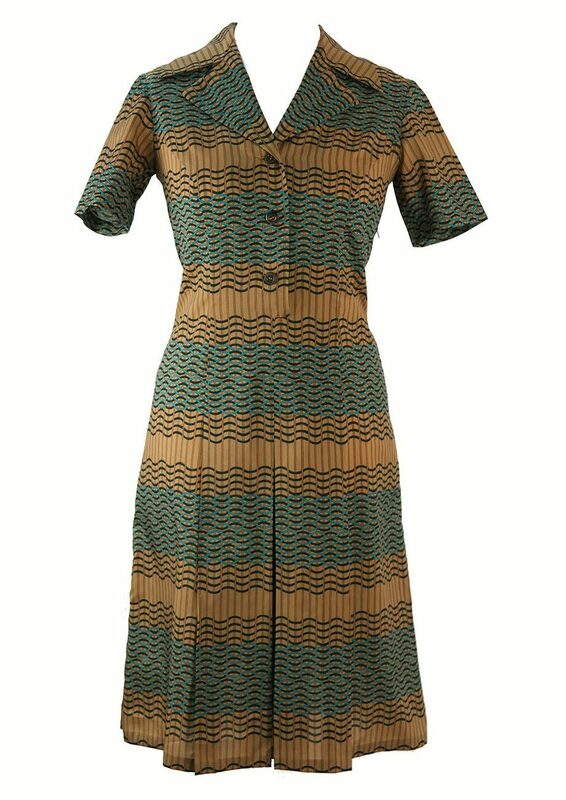 Late 60’s button front short sleeve dress with a striking weave-like pattern in teal, black and camel. 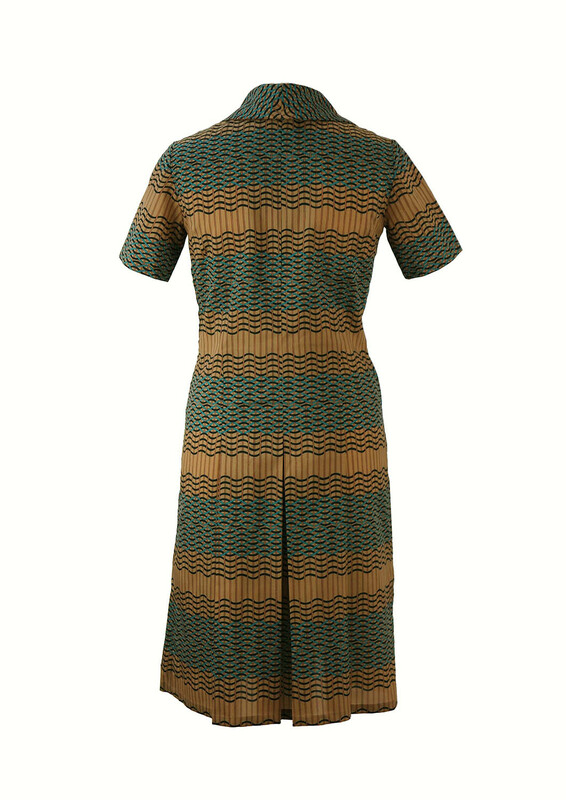 Other design features include well tailored wide pleat detail at the front and back of the dress. 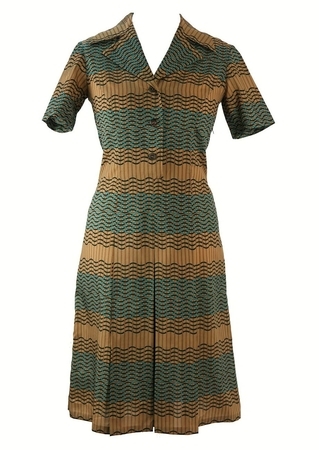 The dress has no fabric label but has a lightweight feel to it.